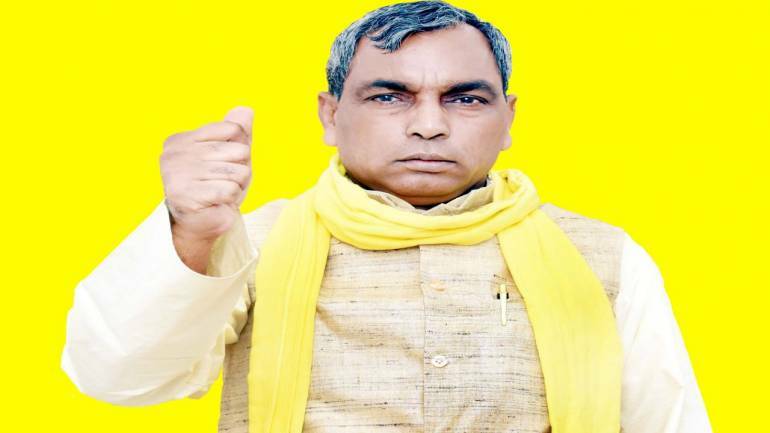 In a setback for the Bharatiya Janata Party (BJP)-led National Democratic Alliance (NDA) in Uttar Pradesh, state Welfare Minister OP Rajbhar offered to resign on February 14. Rajbhar is a part of the Suheldev Bharatiya Samaj Party (SBSP), which is in alliance with the BJP in UP. The SBSP has four legislators in the Assembly. The SBSP has been a cribbing partner of the NDA in the state, with Rajbhar having threatened to quit the alliance before. In January, Rajbhar had stated that the SBSP will switch to the Opposition if its demand of sub-quota in the existing OBC reservation was not met. He had also said the coming together of Samajwadi Party and Bahujan Samaj Party in the state might pose a "big challenge" to the BJP in the upcoming Lok Sabha polls. The cabinet minister had also given an ultimatum to the BJP in January regarding the implementation of the sub-quota. "The BJP had promised to implement divisions under 27 percent reservation for backward classes. 80 days are left till the elections, when will you do it? If you don't keep your promise, we will contest on all 80 seats, we will release candidate list on February 25," Rajbhar had told ANI. Rajbhar has spoken out against the BJP a number of times before. The BJP, on its part, has called the SBSP a "necessary evil" for the BJP in Uttar Pradesh.